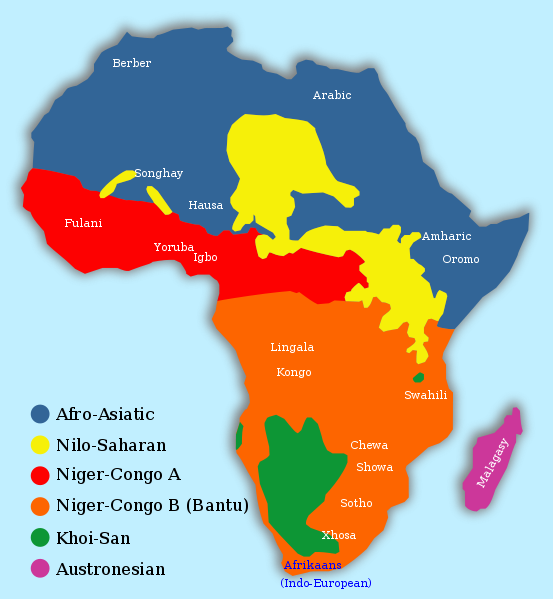 Even though Afro-Diasporans will usually trace their African roots exclusively to areas within Western, Central and Southeast Africa, these subregions of the African continent are already enormously diverse in ethnic groups and languages! No doubt all this overwhelming variation complicates finding out exactly which ethnic lineages you might hail from. However learning more about the bigger ethnolinguistical groups can be helpful to get a better grip on your regional origins at least and also make more sense of any DNA testing you might have done. 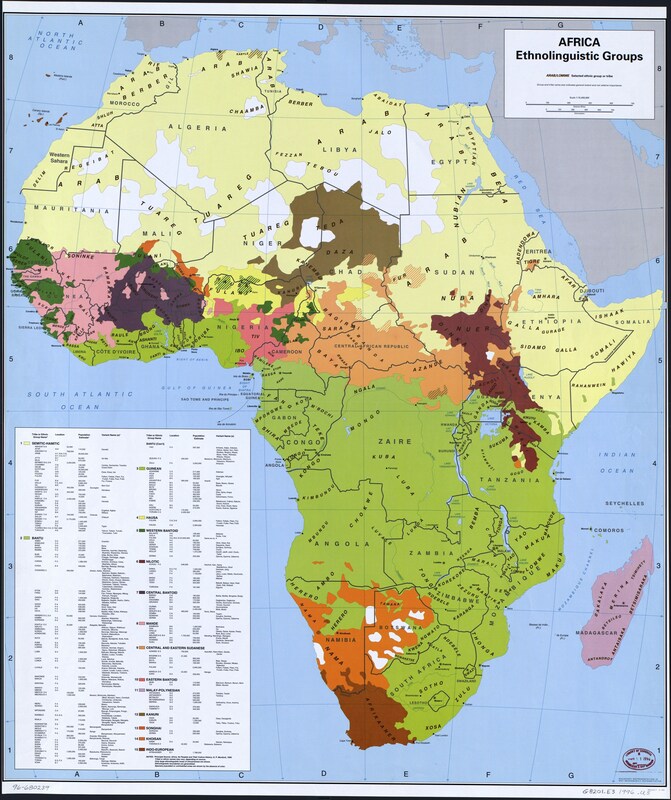 Another great online resource of African maps can be found via the link below. It enables you to choose from many different overlays drawn from different datasets and themes. These maps below should also be useful even though they are far from complete in listing all ethnic groups; if you click on them you can see the enlarged version! This map below zooms into West African ethno-linguistic units. 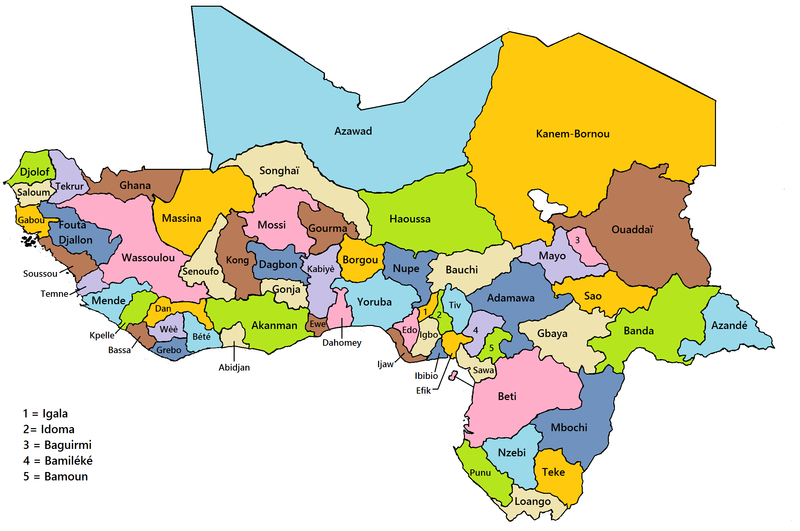 According to a proposal of provinces for a future West African Union. 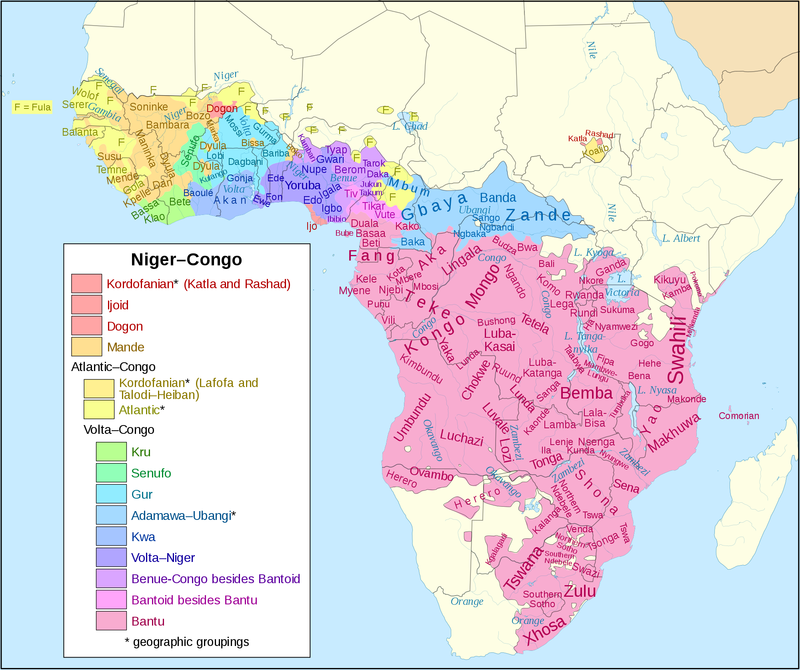 Basically most Afro-Descendants will have African ancestors who spoke a language belonging to the socalled Niger-Congo language family. This language group consists of hundreds if not thousands (also counting dialects) related but distinct languages spoken by as many ethnic groups. 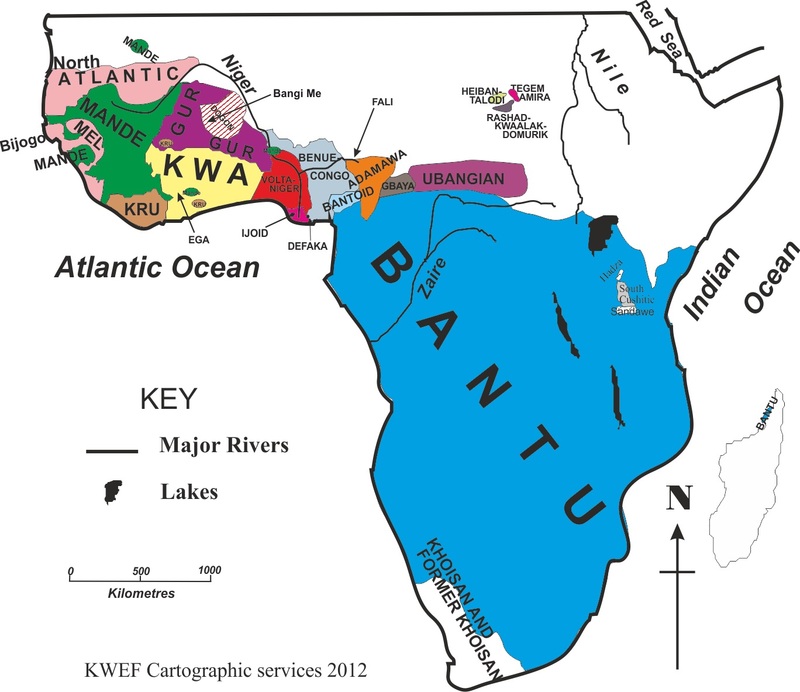 To simplify things usually the first distinction being made is between Bantu languages from Central and South/East Africa and non-Bantu languages from West Africa. 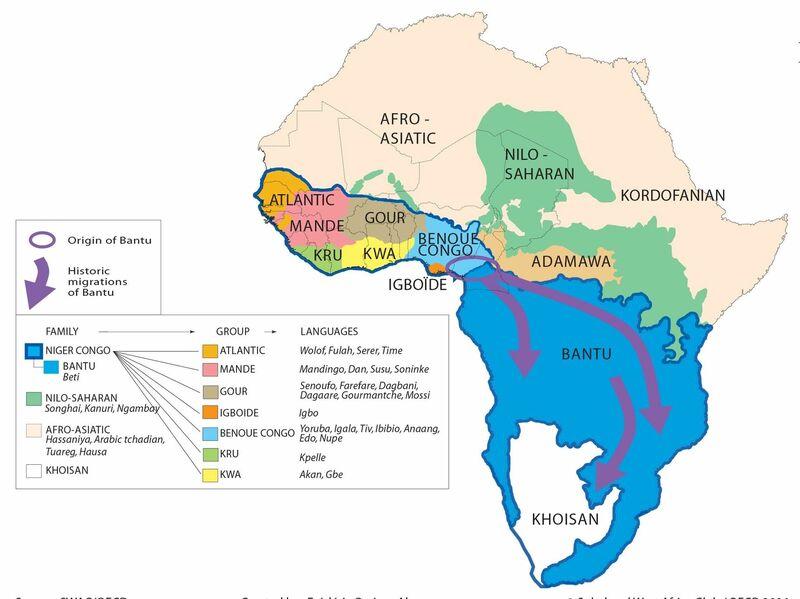 The Bantu languages are assumed to be more recent because of the socalled Bantu migration and therefore also more interrelated than the various West African language subgroups. 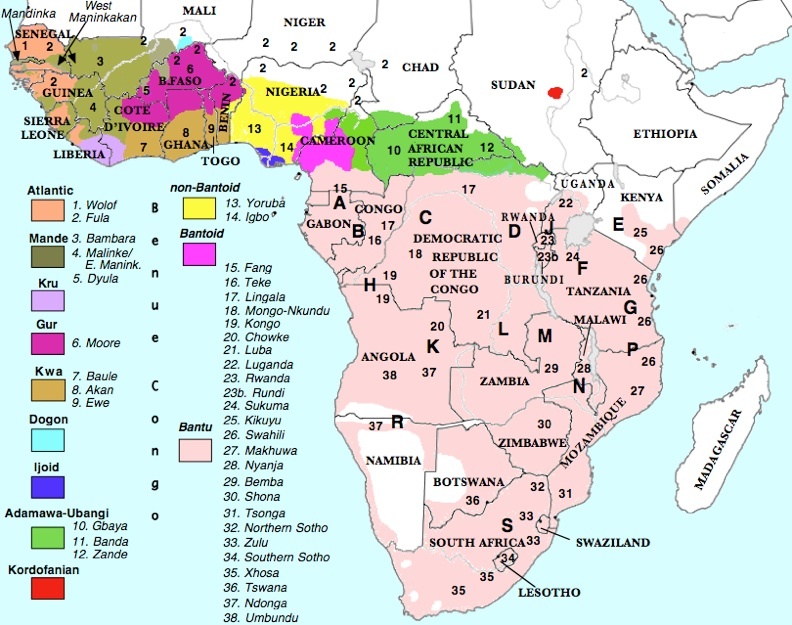 The names and definitions of these West African language subgroups tend to change because of continuing research and new interpretations so that’s why i included several maps below.